PHILADELPHIA, PENN. / ORANGE, Calif. (Nov. 12, 2018) – The fast-rising Michael Dutchover (11-0, 8 KOs), with four solid wins on the year, aims to close out 2018 with another victory this Friday, Nov. 16, from the Doubletree Hotel in Ontario, CA. 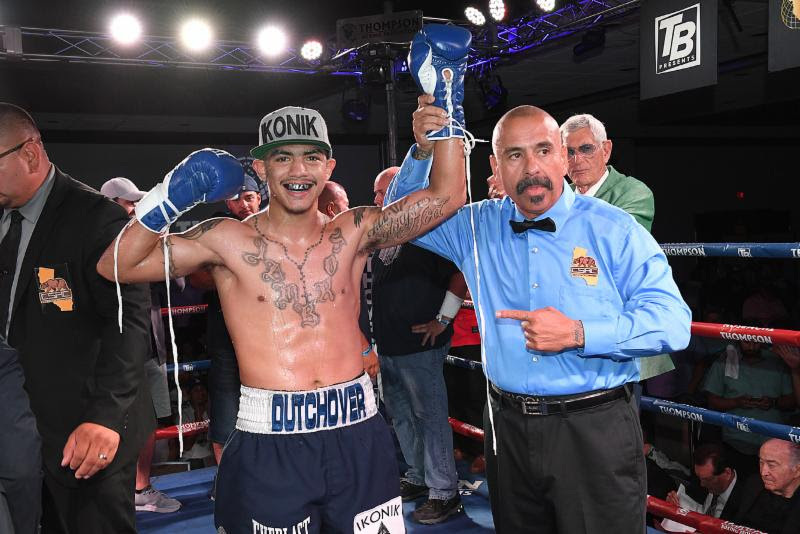 Dutchover, a junior lightweight fighting out of Midland, Texas, has had a breakout year with his recent display of power punching. His last three wins have come by way of knockout, including a sensational second round, one-punch destruction of Sergio Martinez in July. Prior to that, the west Texas warrior, who trains in Los Angeles, removed Mike Fowler in three rounds. Two months ago in September, Dutchover stopped Bergman Aguilar in the fifth round. Dutchover, however, understands the Colombian-born Prescott poses a far more serious challenge than any other foe he has faced this year or in his young career. All fights will be live streamed via the Banner Promotions Facebook page.